Sorry, but this light housing is no longer available. Note: nm means nanometer. 400nm is equal to 0.0000004 meters which is the length of the wave from peak to peak. UV light and Anthrax: UV light will kill Anthrax spores. However, Anthrax is more resistant than some other bacteria to UV light. The Center for Disease Control (CDC) has not published any standards for the length of time and intensity of 254nm light to kill Anthrax. 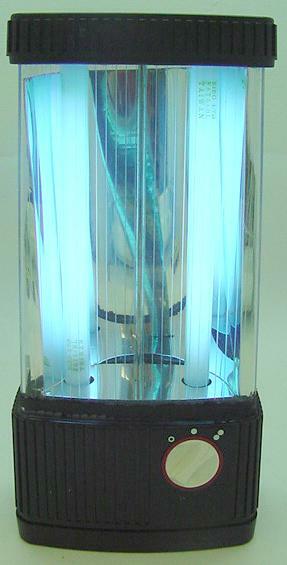 The Dual 254nm/365nm 12 Watt light can light either one tube or both tubes simultaneously. 254nm light is harmful to all living organisms. Special measures must therefore be taken to afford protection against direct radiation. 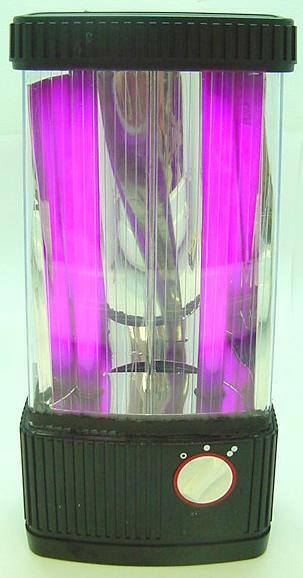 Please read the page on Technical Information about Germicidal Lights.